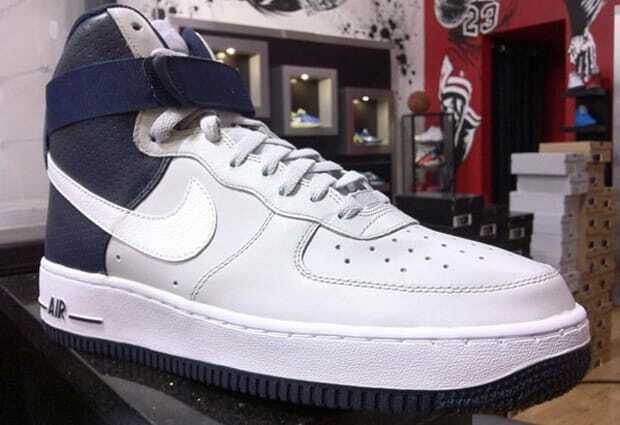 Nike Air Force 1 High "Yankees"
It&apos;s summer, so that means there&apos;s no short supply of Air Force 1 releases. With that being said, we take a look at the new Nike Air Force 1 High dubbed quite appropriately the "Yankees." The high is done up in a colorway that goes perfectly with the New York Yankees navy and white. The 1 features a predominantly light grey upper with the ankle quarter made of navy perforated leather accompanied by a matching ankle strap and a white Swoosh. You can show off your Yankee pride by picking these up from Sole Fly right now.